At Percona Live MySQL Conference & Expo (PLMCE), I had the honor to receive a MySQL Community Award for the “Community Contributor of the year 2014”. I was so proud and still I am. This is the reason why I received it: Frederic organizes the MySQL & Friends Devroom at FOSDEM every year. He worked towards making a true community driven event participated by all key players. 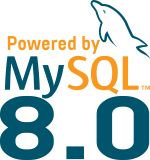 in 2014 the MySQL & Friends devroom also presented a shared booth/stand regrouping Oracle, MariaDB/SkySQL and Percona engineers and developers. But this Award can’t be only mine, I need to share it with all people that helped me in this adventure and that makes it possible. FOSDEM MySQL & Friends Devroom is maybe now the second best event in Europe after Percona Live UK (PLUK). – FOSDEM, for the acceptance of the MySQL & Friends Devroom every year since 2009. – Kris sdog Buytaert, who encouraged me to give my first talk in the MySQL Devroom in 2010. – and last but not least the Percona Belgian Team, Liz @lizztheblizz van Dijk, Dimitri @dim0 Vanoverbeke and Kenny @gryp Gryp who supported me for the logistic and organized a wonderful Community Dinner this year. Again thank you everybody, this award is our award to all of us !